We spoke to Mwikali Mutune about her short story Eye Color, a dystopian thriller centred on a cult hero whose death triggers the crumbling end for a totalitarian regime. Eye Color raises questions about tribal supremacy, the policing of love as un/pure, and is strangely tender in mapping the repercussions of one man’s faith in the power of music and freedom. Black Letter Media: You never really delve into character behaviour with thick descriptions in “Eye Color”, and yet the moderate characterisation you provide is just enough that one can still infer the characters’ motivations. Did you not feel any temptation to settle for an overly technocratic, mechanistic narration, as Western “alien invasion” literature is often wont to? Mwikali Mutune: As you delve into “Eye Color”, the perspective of the narrator is entrenched in African perceptions, which are often influenced by what one can see as opposed to theories related to intangible realms, unless these realms regard religion and spirituality. It was therefore important for all characters to exude only behaviors that are tangible to the narrator’s character and belief system in order to portray a truly African interaction with an alien encounter. BLM: Why was this crucial for you? MM: The above was crucial for me in order to introduce African readers to a genre that isn’t often curated for an African audience. There is a softness in the narrative that allows African readers to feel they can relate and own the themes portrayed in it. An example of a Kenyan attempt at afro-futurist sci-fi is ‘Walenisi’ by Katama G. Mkangi. While the book is an interesting read, many Kenyan students have reported that the great detail in the book prevented them from understanding the sequence of events fully. There has therefore been a gap in this genre of storytelling that I felt my short story could fill by making the tale an easy yet captivating read for the African audience. BLM: The use of particular languages in specific circumstances can be deliberately alienating – would you say those students were essentially raising objections about the book’s language, about the way in which the book’s ideas are communicated as estranging? MM: While language may sometimes be a barrier to understanding, students raised more objections about the sequence of events in which the narrative was presented and therefore found the body of work estranging. BLM: “Eye Color” does something critical for me, and that is to attempt some kind of articulation of the sense of fragmentation, multiplicity, and disjunction I feel speaks most tenderly of our time. Did you ever feel the need to put more meat on the narrative, as they say, to make it adhere to some ideal of what a good, complete short story should be? MM: Alien invasion stories are often too elaborated and I felt the sense of whimsy would be done a great injustice if I lingered too much on descriptives for the sake of adding ‘meat’ to the story. I also intended the story to touch on fragmentation, multiplicity and disjunction without being overly nuanced, which again, would erode the whimsical afro-futurist nature of the tale. BLM: Speaking of afro-futurism, what are your thoughts on the movement – many have tried to point out its limitations as much as commend its potentials? MM: Alondra Nelson best describes my personal definition of afro-futurism as a way of looking at the subject position of black people which covers themes of alienation and aspirations for a utopic future. One limitation of afrofuturism, in my view, is that many writers and publishers consider it a genre that dissects experiences of only blacks in the diaspora. This is a warped view in my opinion because it excludes Africans, who are born and live in Africa. Afrofuturism, however, has many potentials, including bringing blacks from all over the world closer together through a depiction of their shared experiences. BLM: Naben Ruthnum, speaking on the dilemma of Asian diasporic literature, says, “Regardless of literary quality, the[se books] typically hit enough nostalgia, authenticity, and exoticism points to score decently on Goodreads.” Would you say you have experienced the Goodreads conundrum? MM: I have experienced the Goodreads conundrum in my writing when I feel the need to include a sense of the familiar in each story. This is why in “Eye Color”, for instance, the narrator reveals a typical urban African’s reaction to an alien encounter. Some as revealed in the story, held on to spirituality by looking to religious leaders (which is representative of the older, more traditional urbanite) while others recorded the unfolding events and provided commentary (which is representative of the younger millennial urbanite). However, the story maintains it’s authenticity and exoticity through anchoring itself in an unfamiliar alien encounter. BLM: What are some of the unexplored and unexploited lore around “aliens” would you say are specific to your life experiences, especially coming from an African perspective? MM: In my life experiences, some uncharted territories that remain unexplored include the afterlife. Coming from a culture primarily anchored in religion where many believe that heaven or hell await them after death, there needs to be more depiction of death as a new beginning in different conditions where, instead of a creation process led by God, it is led by creatures like us who are much more advanced and who reward black suffering with leadership and colonization of other ethnicities in the new world/s. BLM: Although one feels the likes of Tutuola, Fagunwa, even Okri’s abiku children, do hint somewhat of the limbo state between the un/dead; but then again, their narratives seem to reaffirm the world of the living, there’s always a coming back home to living parents, never choosing to stay with the dead? MM: I believe that Okri’s abiku children for instance, does introduce the African audience to new unexplored spirit realms but keeps a tight hold on the world of the living. Therefore, “Eye Color” introduces the unknown and anchors on it primarily in an attempt to dissect the unknown more than previous authors in the genre have attempted. BLM: How important are folk stories to you as a writer, especially if, in your writing, you’re attempting to imagine scenarios that acknowledge both the traditions on which your identity is founded and the influences of any other cultures that may have enriched, even challenged, that very identity? MM: Even before colonization, religion and folk stories based on religious influences have formed and guided Africa’s identity. This is why in “Eye Color”, it is an aspect made mention of with regards to people’s reactions when met with an unfamiliar culture – the aliens. It was therefore important to note how a different culture (in this case the aliens) challenged people’s beliefs in God – and therefore their very identity – at the time. BLM: “Eye Color” touches on Black resistance music, ethnography, the fraught nature of intermarriages – without reducing the story to a bulletin reading of its themes. I am curious to know what value did you try to put on tribe in your story – yours is a hierarchical world and what tribe you are decides which preset standards you are supposed to live by. MM: The “Eye Color” universe is created on the a set of rules with regards to resistance, intermarriage and tribe. On tribe: The ruler of the time is perceived to positively influence the livelihoods of members of their tribe and increase the value of that tribe in comparison to others in the community. The above rule is synonymous both in Kilton and on earth, thereby shedding light on the similarity of hierarchical challenges people face, regardless where they are from. Tribe, specifically, is a great separator in Africa, where some tribes perceive that their lives hold more value than others within the same hierarchy based on the tribe of the ruler. This has resulted in a culture of ethnic cleansing in many African countries in the form of genocide and mass murder and I therefore felt “Eye Color” could add value by highlighting the triviality of tribe when faced with a larger problem, in which case people come together regardless the tribe they ascribe to. BLM: What else should we expect from you in the near future? MM: In the near future, I hope to write a science fiction novel that explores uncharted questions in science from an afrofuturist perspective. I also hope to submit more short stories to different platforms in order to finesse my writing. 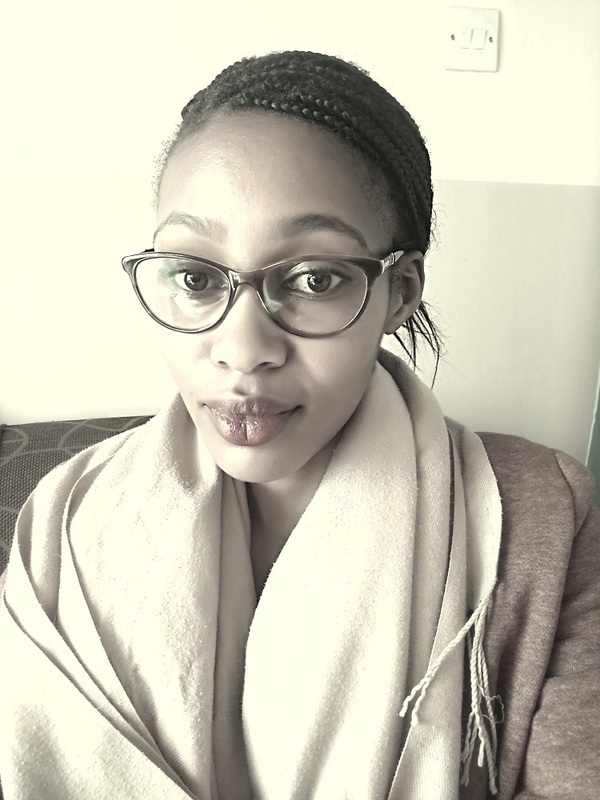 Mwikali Mutune, based in Nairobi, Kenya, is a creative writer at Nia Teen Magazine. She is passionate about menstrual/reproductive health as well as writing fiction. 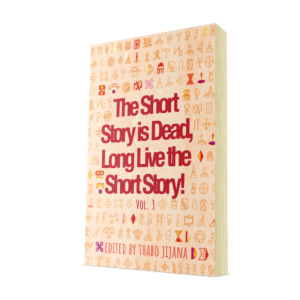 Copies of “The Short Story is Dead, Long Live the Short Story!” can be preordered here and here; we recently announced the winners for the third volume – read all about it here.